Yesterday I took myself away to from my busy mummy life to 'Cucumba' salon nestled perfectly in the busy streets of London for 'Collagen light therapy'. We all know that collagen decreases in our bodies after we hit the age of 25, so being 28 I thought I probably needed a boost! 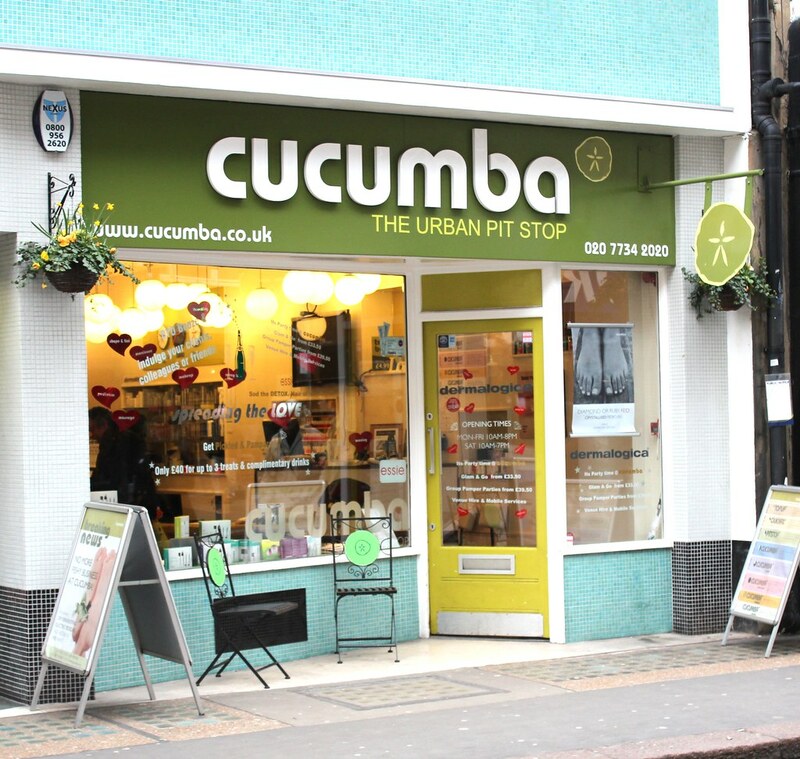 'Cucumba' the urban pit stop for the hectic lifestyle provides various beauty treatments and charges by time. So, a 20 minute treatment, which was what I had costs £23.50. Link! I was put under a golden light for 20 minutes which covers my face & décolletage area, I was also advised to place my hands on my chest for extra benefit. 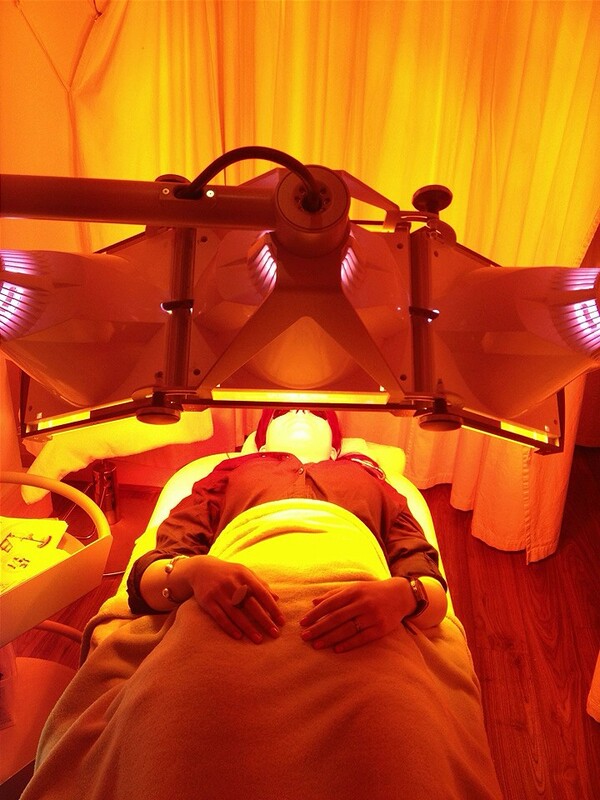 The light is the 'Beauty angel light therapy' which is suitable for all skin types and aims to rejuvenate & revitalise the skin without using lasers or UV. The light is supposed to stimulate the skin to naturally build collagen and elastin for a significant reduction in major signs of visible ageing. Now I don't know if it done that but what I felt after 5 minutes of being in the light was a slight tingling and tightening sensation, almost like my face had just been washed with soap. 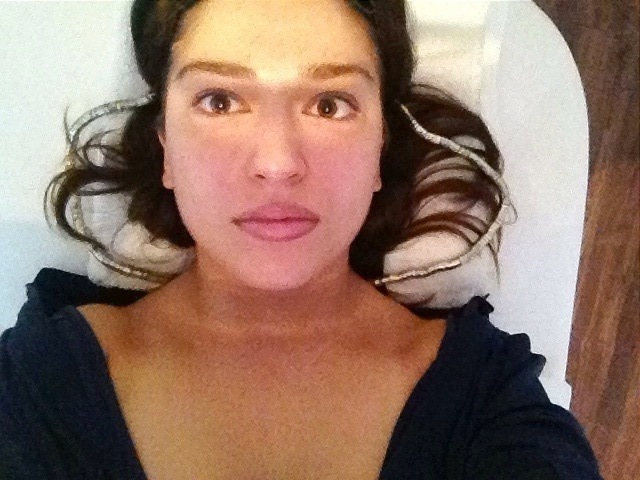 I took this picture right after my treatment whilst I was still lying down, I was advised to wear no make up but apparently it's fine and the light therapy still works, but I would rather be bare faced. I did have on some lipstick & a touche eclat under my eyes. My skin, definitely looked brighter and I felt like I was glowing. Here's another picture from yesterday, my skin already looked pretty good before the treatment thanks to my healthy eating and exercise I have been doing, but it definitely lacked lustre and looked a little dull and I definitely feel the treatment made a difference. I don't know if it reduced any wrinkles as thankfully I don't have much yet but it certainly made me feel better about myself and even my husband told me I was glowing! :) Can't be bad, right? 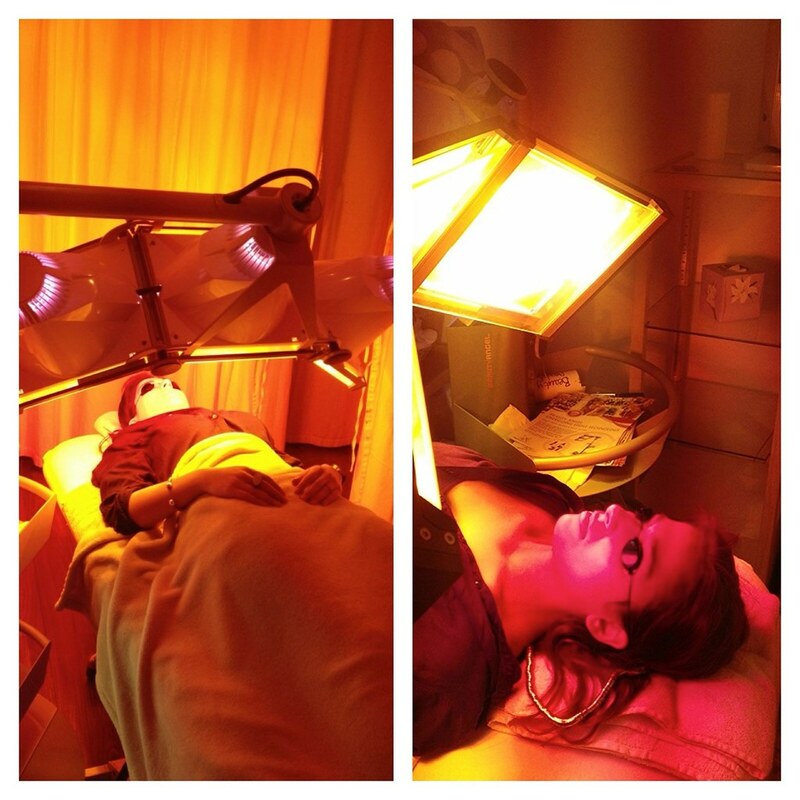 What do you think about 'collagen light therapy'? Would you get it done? I think at £23.50 for 20 minutes I would definitely get it done again for when my skin is needing a little va va voom! Disclaimer: I reviewed this treatment for the blog & I wasn't paid for this post, HONEST opinion as always!